Recently there's been some confusion over what has been called 'Tampon tax' and exactly how much tax is applied to feminine hygiene products. As I happen to know somebody who has previously been involved with a campaign regarding the tax applied to these products I thought I'd do a post to try and help clear up some of the misconceptions regarding this. Feminine hygiene products are taxed, but this is at a reduced rate of 5%. They used to be taxed at the full rate, which at the time was 17.5%, but in around 1996 a friend of my boyfriend launched a campaign for the rate to be removed and for sanitary products to be provided free of charge for women claiming Jobseekers allowance (or whatever the equivalent was at the time). With the help of Labour MP Dawn Primarolo this was partially successful and in 2000 the tax on these products was reduced to the 5% rate that it is now. The tax wasn't removed completely because of EU policies setting the rate of tax that is charged. What I found really interesting about my boyfriends friends campaign was that at the time she couldn't find a single female to support her campaign because they weren't happy talking about periods. The only support she could get was from male friends, one of which was my boyfriend. I know that in the past women have been uncomfortable talking about personal issues like periods, and some women are still uncomfortable with it today, but I would have thought that just 15 years ago she would have been able to get a considerable amount of female support for an issue like this. Earlier this year I saw something pop up on Twitter which I believe was a petition stating that feminine hygiene products are taxed but yet no tax is charged on men's razors. This isn't the case. 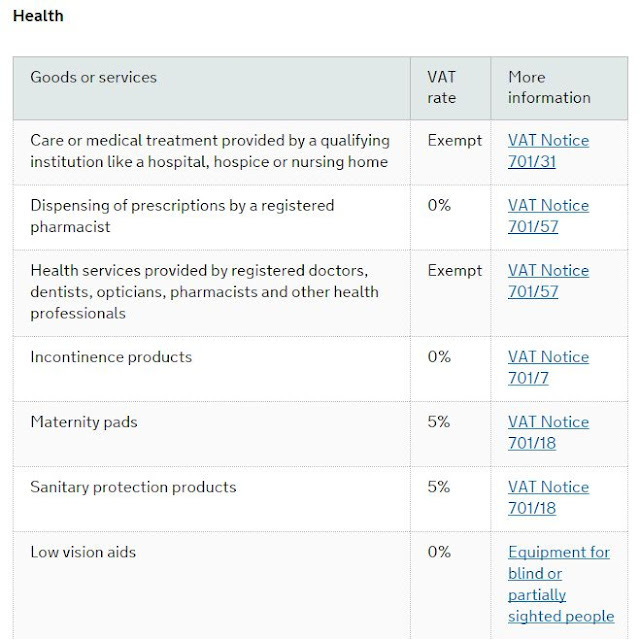 The government provides a list of rates of VAT on goods and services (which is available online here) that are either exempt or on a reduced rate and this shows that sanitary protection products are charged at 5% (as shown below). Razors are not included on this list, meaning they're charged at the full rate of 20%. I believe the 'Tampon tax' issue has arisen again in the last few days/weeks because at the moment the government is renegotiating its relationship with the EU. It has been proposed by Labour MP Paula Sheriff that VAT should be removed completely from feminine hygiene products, but a large numbers of MPs have voted against this, so her proposal failed to make it through the Commons. You can find a list of all the MPs who voted against removing VAT from these products here. Despite the proposal not making it through the Commons the government have said that they will take up the issue with the EU. I'm happy to pay a reasonable amount of tax or NI as in exchange for this we receive free health care, collection of our rubbish, a pension etc. What annoys me about VAT though is that this was first introduced to be applied to 'luxury' products, such as TVs, cars, holidays, and is now applied to pretty much everything, including products that woman have no choice but to buy. I know 20% on the few pounds that these products cost isn't a lot of money, but why should women have to pay a luxury tax on a product that is a necessity, not a choice. 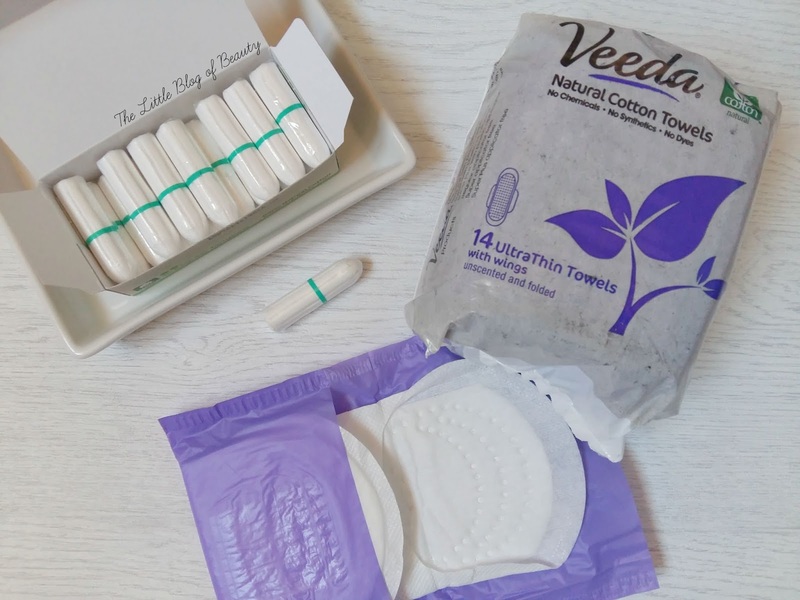 If you'd like to join the campaign against the proposed increase in VAT on feminine hygiene products you can sign Laura Coryton's online petition here or you could write to your local MP to pledge your support (or maybe not if they're on the list I've linked above!). Great post! Very helpful to have it laid out simply as there does seem to be so much confusion on the matter lately!